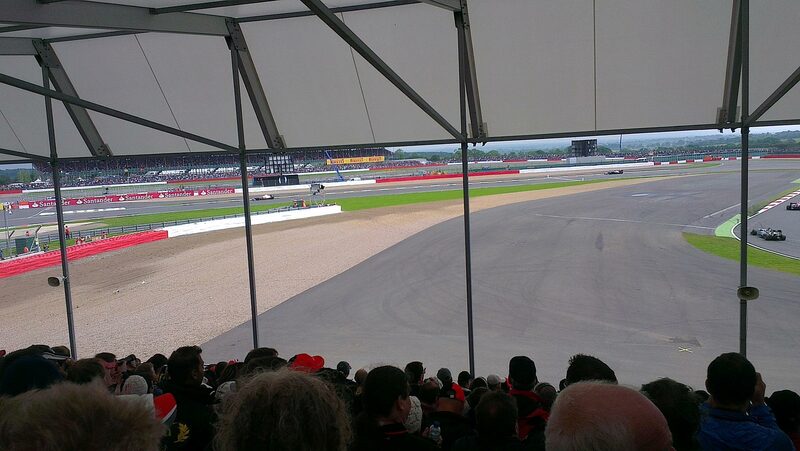 Abbey and Farm curve may make up the first two corners at Silverstone, but it’s Village corner, turn 3, that is the big stop for the drivers and a real test for the F1 cars. Arriving at enormous speed after two flat out corners, the drivers have to pick a braking point whilst coming from the right hand side to the left hand side of the circuit. 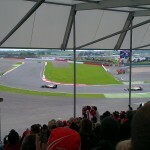 It’s a tricky corner to get right with the potential to lose lots of time rather high. The car will drift wide on the exit but you’ll notice the cars launching themselves to the opposite side of the circuit to set themselves up for The Loop corner which leads onto the essential Wellington Straight. 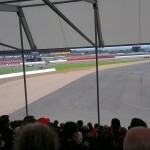 Village is turn 3 at Silverstone. Heavy braking in Village corner. The Loop and Wellington Straight follow. 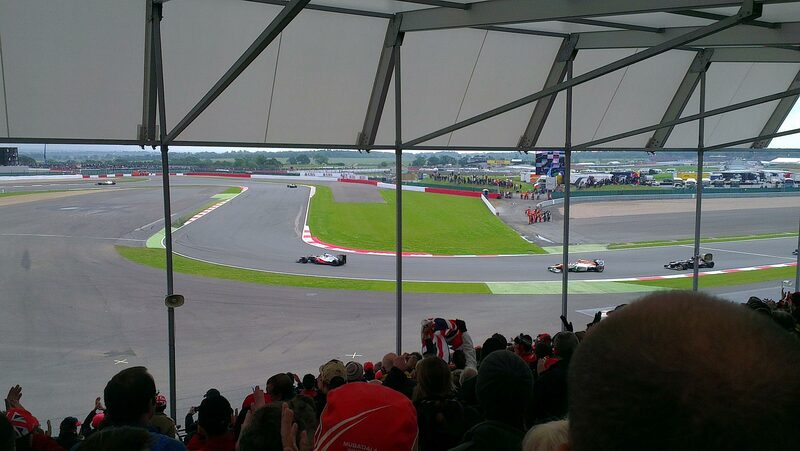 Lap 1 of the British Grand Prix is breathtaking from Village A and B grandstands. 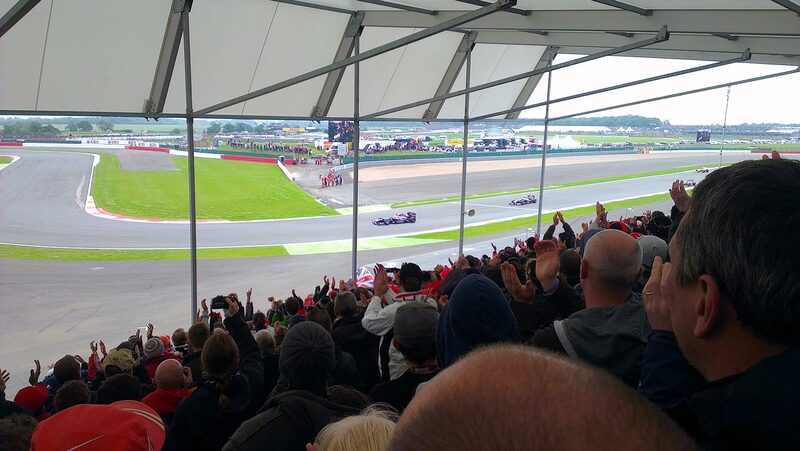 You hear the race start a few hundred meters away and hear the roar of 22 F1 cars getting closer and closer – all of them pretty much at full throttle. 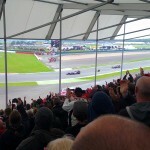 The wide nature of the Village braking zone allows for the cars to jostle for position and attempt to out-brake each other. The concertina effect means the cars are running nose to tail, and even closer on the exit. In ’12 Paul di Resta cam unstuck when Romain Grosjean punctured his rear tyre, sending him off the road down the Wellington straight. 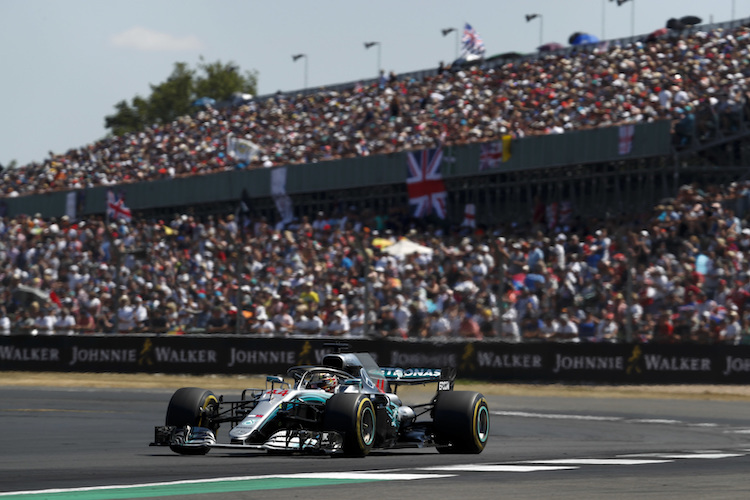 From the Village grandstand you are less than a minute from the stage in the centre of the circuit which entertains the British GP crowds all weekend long, peaking with the after race party featuring numerous drivers and celebrities.